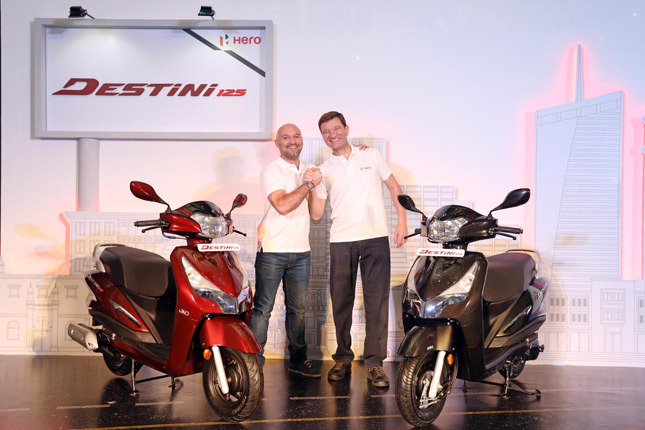 In order to gain an upper hand in the rising scooter competition, Hero MotoCorp launched its range of premium scooters named Hero Destini 125. In case you were wondering, that is Destiny spelt with an “i”. The all-new scooter is powered by a 125cc air cooled single cylinder engine which makes 8.7 BHP of Power @6750 RPM and 10.2 Nm of Torque @5000 RPM. Hero Destini features the company’s own i3S technology (idle Stop-Start System), which is first for a 125cc scooter. It is also equipped with a Digital-analog Speedometer, Side Stand Indicator and Service Due Reminder for a hassle-free ride. Hero Destini also comes with a Remote Key opening, and the top spec variant features Mobile Charging port, and Boot light as standard. 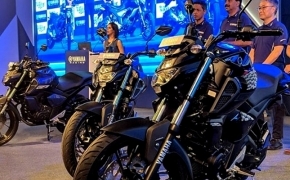 In terms of styling, it comes with a Chrome plated front end and side panels, along with cast wheels. The Tail lamp also has a distinct look of its own and looks quite attractive. 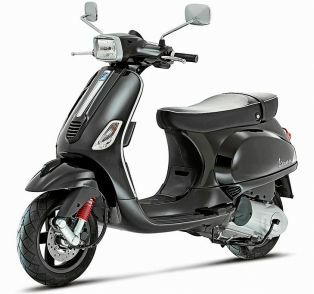 We are introducing the new Destini 125 scooter, within just a few weeks of launching a new premium motorcycle – Xtreme 200R. This clearly demonstrates our robust in-house competency in designing and developing products in the premium segment. 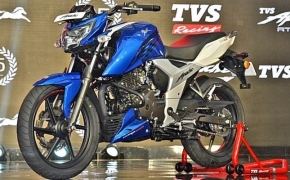 With a price tag of Rs 57,500, the Hero Destini will compete against TVS NTorq, Honda Activa and Suzuki Acess 125. Although the NTorq has remained as the dominant competition for quite some time now, the Hero Destini is determined to change that.